I hope you all had a fantastic Easter! Today we are doing a little digital scrapbooking. Basic Grey contacted me and asked if I would do a review of their Digital Scrapbooking kits. Of course I said yes! It's Basic Grey for cryin' out loud! It was really hard to pick what kit I was going to work with.....I loved them all but I had to narrow it down to one, so I decided to go with the Phoebe Starter kit and a few add ons. All the stuff that comes with these kits is amazing! Papers, rub-ons, ribbons, buttons, overlays and more. So much to choose from and the possibilities are endless. What I loved most about this collection was how I can take it from a layout of my 16 year old gorgeous niece to my 8 year old son on the trampoline. I really had a lot of fun working with this kit and I'm certainly gonna work with it some more. Love the layouts. Looks like a great kit. I will have to check this out. TFS. Super cute layouts. Will you help the winner to figure out what to do with a digi kit? For that matter, I might as well ask...help me! I would love a tutorial into the world of digi from you. Wow! I love the layouts! Pretty cool! Digi scrapbooking sounds fun and I love all of basic greys stuff! Love the layouts. Haven't tried this part of the scrapbooking world yet. But seems to be getting more and more popular. Love your LO's, I have just ventured into digital scrapping and have just downloaded some BG elements their site is so easy to use and they have some yummy stuff. great layouts - I love the colors! you are so creative I love your blog! Does anyone say no to a chance to work with BG? Your layouts are both great! I'm new to digital scrapping, but it looks interesting. It's definitely fun to play and experiment. Really fantastic LOs! I would love to try the digital scrapbooking and Basic Grey would be a fine place to start! TFS! Great layouts and the kit is very versatile! I really like the pink layout. Thanks for sharing and I hope to win. Haven't used the Digital Scrapbooking, so would like to try it. I have not yet tried digital scrapbooking. Winning this gift certificate would get me started! Love the layouts. Digiscrapbooking is fun, but you need a large printer if you have 12 x 12 albums. Luckily I do! Thanks for the chance. You are so multi-talented. The L/O's are beautiful. I just dabble in scrapbooking, but I'm learning fast. Well, I guess I will have to keep watching. Not sure that I understand the digital scrapbooking concept. Look forward to your testing. I love both of these! They look so cute!!! Love the layouts. Haven't done much digi scrapping. Guess we need you to do some videos on that. Have a great day. Love the layouts. Looks like a nice kit. Great job Christina! Pretty layouts. I've never worked with digital pages before. 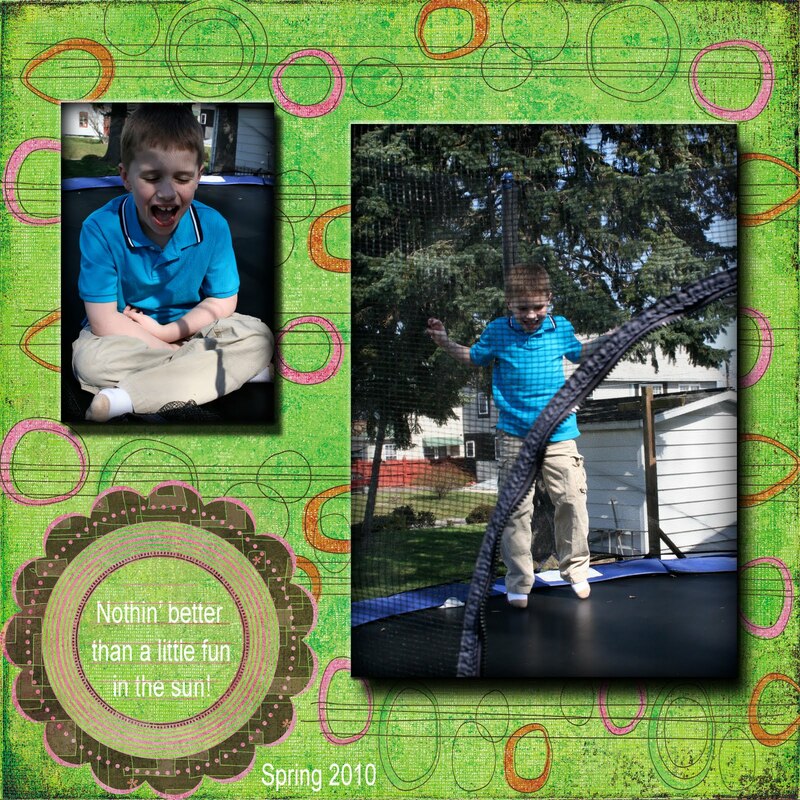 Love digital scrapbooking. Thanks for the chance to win. Love to see digital scrapbooking, and love Basic Grey! Great Layouts. Love your work! Those layouts are great! Looks like a fun kit to play with. Your layouts are great. It sounds like having some of these kits would be fun. It would be wonderful if you would do a video for us newbies to digi scrapbooking. Thanks for sharing. Those were really great layouts. I have never done digital layouts before but would love to try it. Great layouts! I haven't worked with digital stuff yet, but it looks like fun! Hi Christina...this is a request rather than a comment. (I don't use digital layouts) I was hoping you could do some videos with the Straight from the Nest Cart.. I just discovered your blog today and I love it. A friend of mine found you and we love your helpful videos. You are very creative and a great inspiration, thank you! Love the papers & embellishments! Wow!! I have never tried this, yet its looks like a lot of fun..thanks for the chance.. I haven't really done much digital scrapbooking, but this would be a great way to be able to try it. I am learning that Digital scrapbooking is really fun...though I still use alot of the traditional methods still. Would love to win so I can experiment and find out if I like digital scrapping! Thanks Christina and thank you Basic Grey!! I've NEVER done any sort of digital scrap booking so I'd love to give it a shot. Especially with Basic Grey!! Thanks again! You made some lovely LOs. Basic Grey digital!!! Wow this could really come in handy as I am due to have a baby girl any moment, and with a toddler already not sure when I will get the time to get away for awhile. This would give me the oppertunity to continue and use the awsome Basic Grey Collection!! Keep up all the great stuff I look forward to looking at your blog every DAY!!!!! i've never done digital scrapbooking. actually, never heard of it until i came here! it looks like fun and i can't wait to get started! I just recently heard about digital scrapbooking for the first time. I would like to learn more about it. I am always game to try something new! Very nice layouts. I haven't yet tired digital scrapbooking but would love to give it a try. I love the colors. You did a great job!! Congratulations!! I've never done digi so this is new to me but I hear it is great once to learn to use it. Love the floral design over your niece's picture. Those are really nice. I've never tried digital scrapbooking but it looks neat. Thanks for a chance to win. Oh Wow ! I have a friend who gonna show me how to digital scrapbook looking forward to it. What a Ineat Idea. How Exciting! I am slowly trying to add to my digi supply. I am not quite comfortable with doing pages yet. I will have to check and see how easy this one is. Oooohhhh. 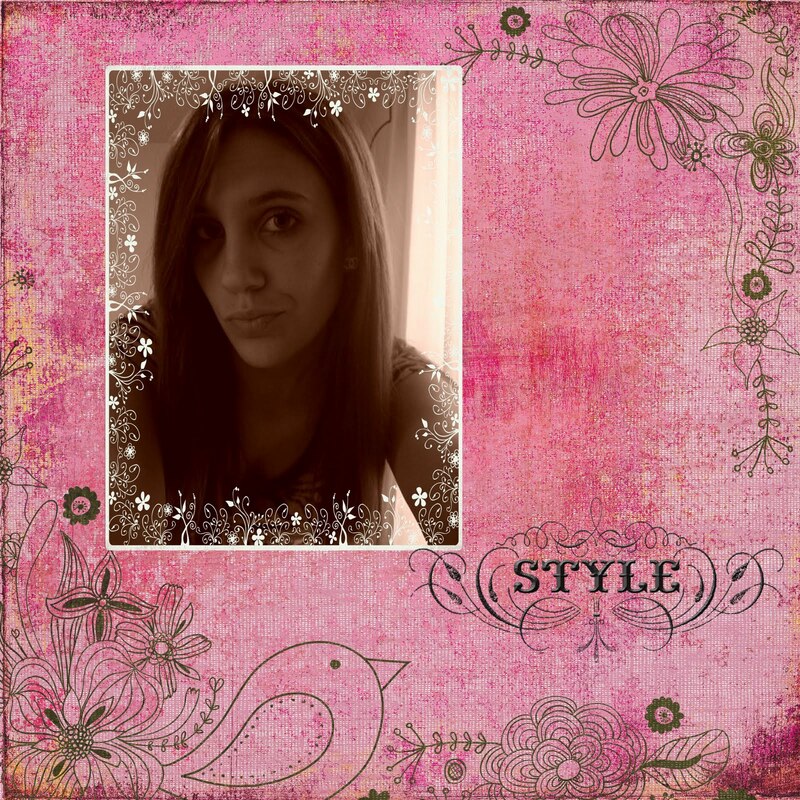 I like the looks of digital scrapbooking and have not done it before! Thanks for showing how easy this kit is to do. I'd love to make my first digital attempt a Basic Grey one! The layout is so lovely, I would like to try the digital layouts so thanks for the chance to win. Cute layouts! I have been intrigued by the "digital" way, but have not yet attempted it. Is it hard? Would you consider a tutorial on digital scrapping? Thanks Christina for sharing your work. I love it! I have never done digital scrapbooking but would like to learn. Thanks for the opportunity. I have never tried digital scrapbooking yet but may have to give it a go since I am years behind on my scrapbooking. I think it would be faster. Nice layouts! I love Basic Grey and think it is so cool that they are joining the digital world! What great layouts. Thanks for sharing this. Love the digital world! Cute layouts. I`ll love to win. Very nice LOs. I'm loving this digi kit! I would love to see a video on how you did this. Did you print out the LOs? What program did you use? Maybe I would actually get some scrapbooking completed if I used digi. Beautiful LO. Thanks for the chance to win this awesome prize!!!! !I just got started in digital stamping and love it. By the comments it doesn't look I'm like alone not knowing about digi scrapbooking, but I'd sure like to learn. The layouts are beautiful which means there's a whole different world out there that I don't know anything about. Teach me teach me!! Oh WOW those are really cool! very pretty layouts. 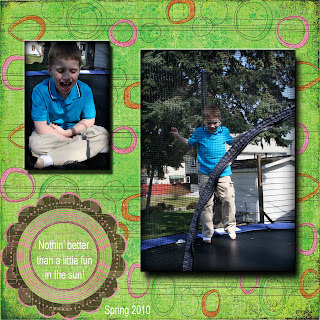 i have always wanted to get into digital scrapbooking but thought it would be hard. I have just learned about digital scrapbooking and this looks like a perfect starter kit. Does your printer do 12"x12" or are these smaller. They'er so pretty. I've been afraid to do digital because of getting the quality of color. Looks like a great kit. Sounds very versatile too. Thanks for giving us an opportunity to win the gift certificate. Such beautiful layouts and I hope to see more about the digital since I know nothing about it! cool! would love to try this out! Looks neat, I would love to win!!! Very nice layouts. I've never tried digital scrapbooking. Sort of intimidated by it, just like I was when eyelets first came out for scrapbooking!! LOVE LOVE LOVE Basic Grey! And your layouts turned out great! Keep up the good work! I love visiting your blog! What great layouts you did! I know absolutely nothing about digital scrapbooking, but would love to learn. This looks like the best way to learn, with a give-away. Thank you Christina and Basic Grey! Wooo Hoooo what a great chance at a give-away! Love your layout ideas Christina. Thank you for always sharing. Love what you did with the basic grey's digital Scrapbooking. The kit you picked is so pretty. WOW! I love how you can use the kits for either boy or girl. I would love to dabble in the digital world. Digital scrapping is so much fun! Your layouts look great! Thanks so much for including me in your drawing! Wow, nice layouts. I 've never tried digital but this seems pretty and I just might have to try. Here's hoping to win! I've never done one. Thanks for the opp! Love these pages! I love digital scrap booking to get pages done quickly but there's something therapeutic about cutting and ripping paper. I just love basic grey...thanks for the opportunity...your layouts are great! These layouts are so beautiful and thank you for the opportunity for a gift certificate to Basic Grey. Very NICE! Thank you for the chance! I can see why you hada hard time making a choice!! :) I have to reconsider me and digi! love the layouts. Class and fun all from the same kit. Couldn't ask for more. Never done a digital scrapbook. Looks great though! :) Love the Trampoline as well!!! Thanks for an opportunity to win a $25.00 gift certificate. Like some of the others that have posted, I've never done a digital scrapbook, but would consider it. I am really interested in digital scrapbooking....This is very nice! Looks great! I have always wondered that if I ever started digital scrapbooking...would I go back to paper? I love paper too much...but digital S/B seems neater!! I have been looking into some of the digital kits and wondered it I could learn to use them. These layouts are very nice. The layouts are totally awesome!!! It's my first time commenting on your Blog. I just love it. I follow it every day and I am thrilled at what I have learned. I am a big scrapbooker but the cards are a new thing for me. Loved the Craftroom also. Love this kit, what are the files saved as? Can they be sent on emails? I have always wanted to try digi, so this would be the perfect time, don't you think? So cute! I love the bright pink! Wow! It all looks very interesting....you are very creative. Thanks for the chance. Love the look of the layouts. Not sure if I have enough computer knowledge to figure out how to use the digi layouts. Was it very hard to to?? Ohh, I like the digital elements. Your layouts are great. And, Basic Grey...well that goes without saying! Thanks for the great giveaway opportunity. Christina, your digital layouts are beautiful...great job! Thank you for the chance to win one that would be awesome! Great layouts, love the contrast of the two, very different but all from one kit great value. Great layouts. A friend of mine likes digi scrapping, but I have not tried it. When you get a chance a video would be great! But I will be looking into this more now. Looks great, I would like to learn more about this digital thing..old habits? !Yours sure does not look sterile- I must give it a go! kathy b.
Oh wow! This would be fun to play with! Just getting into digital scrap booking, loving it...Thanks for the video's.. Basic Grey plus digital! Way cool! Thanks for sharing! Great layouts Christina. Thanks for sharing and count me in on the gift certicate to Basic Grey. I love digital software for my cardmaking use. Great pages! Would love to win! Love your work! Will have to check out their website and digitals. Hope I win! but good luck everyone! Love your work. I check your site daily! TFS! Thanks for the chance to win, Christina. Can't wait to see what else you do with this kit! Is it time for another video?? Looks like a nice kit. Wow, those layouts are really neat and I love the colors and how versatile the papers are. Thanks for sharing. Super cute work. I love following your blog. Thanks for all the ideas. I love the colors and the overlay. This would be a fun kit to work with for the spring and summer pages I need to finish. I have yet to buy a digital kit. I am intimidated by it for some reason. If I won one it would give a good reason to get on with it and see the possibilities.